Break down recipes into manageable tasks such as mixing the batter, measuring ingredients, decorating with sprinkles, candy, etc., and keep those little hands busy. Children can learn helpful skills and have fun at the same time! Here are a few kid friendly recipes for you to try. 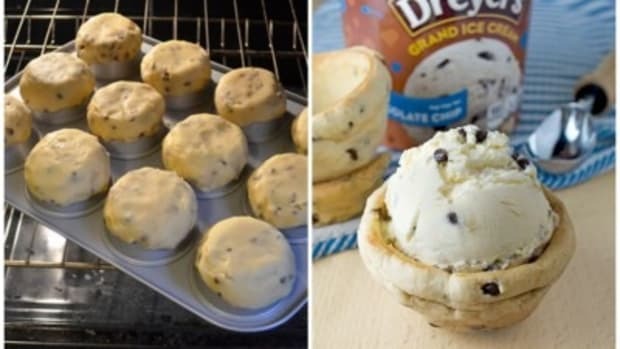 What could be easier than using store bought dough? This is a recipe that kids can make pretty much independently, depending on how old they are. Just make sure you are around to supervise cutting the dough and to help during the baking process. Basically, supervise as needed! Preheat oven to 350 degrees. Cut cookie dough into 1/4-in. slices. Place 2 inches apart on ungreased baking sheets and bake for 8-12 minutes or until edges are lightly browned. Cool for 2 minutes before removing to wire racks to cool completely. For frosting, in a small mixing bowl, cream shortening and butter. Gradually beat in confectioners’ sugar. Beat in milk and vanilla until smooth. Spread over cookies. Decorate with chocolate chips, candy corn and red-hots. This one is a personal favorite as it has been handed down to me from my mother-in-law who inherited it from her mom. My kids absolutely go crazy for these cookies. 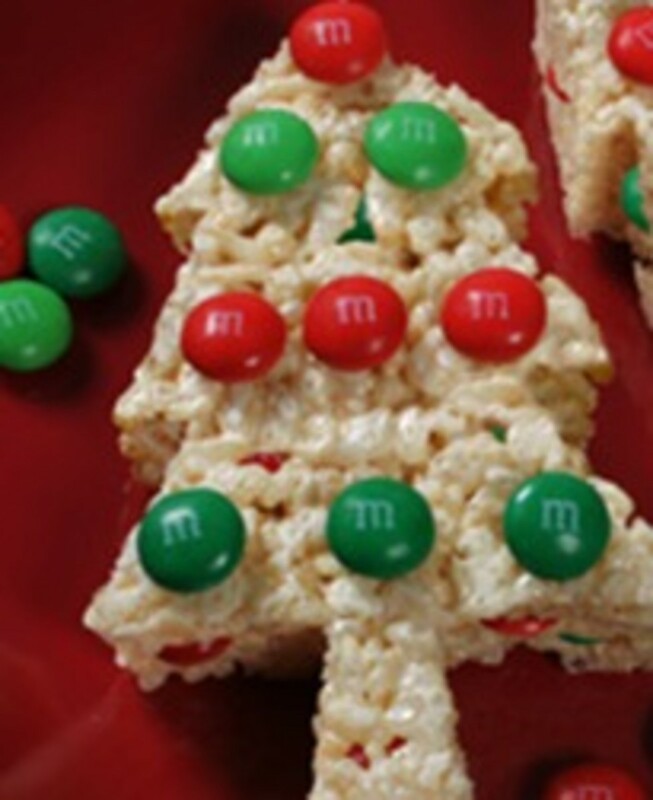 They are not only delicious, but really fun to make and decorate! It’s worth the extra few minutes it takes to make your own dough. And, you can customize them for any occasion. 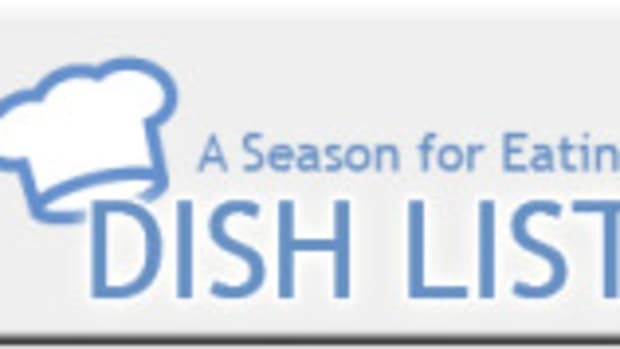 Frosting: 1 pound confectioners’ sugar and milk or water. Preheat oven to 350 degrees. Cream butter and 1 ½ cups powdered sugar, then add egg and vanilla. Stir in the flour. 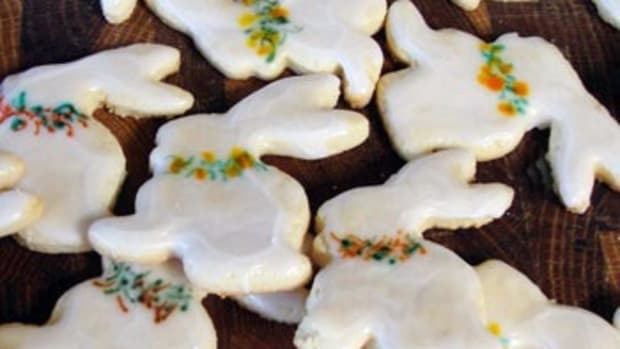 Roll out dough about ¼ inch thick and cut into desired cookies shapes (kids will love this part!). You can use powdered sugar or flour to coat your surface before rolling. I prefer powdered sugar because I think it stabilizes the cookies better. Bake on ungreased cookie sheet for 7 – 10 minutes (until light brown). Let cool. Mix remaining powdered sugar (about one pound for 32 cookies) with enough water or milk (milk may set frosting better) to flow smoothly. 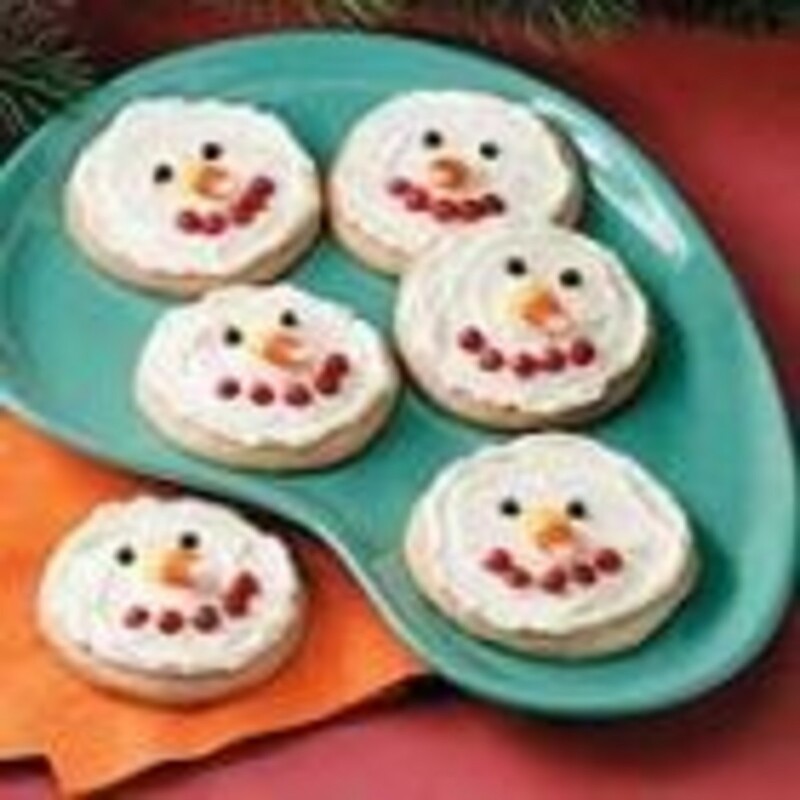 Spread frosting on cooled cookies with a table knife. Dry at least overnight and then paint with small brush using various food colors. Kids can get as creative as they want “painting” on the cookies! 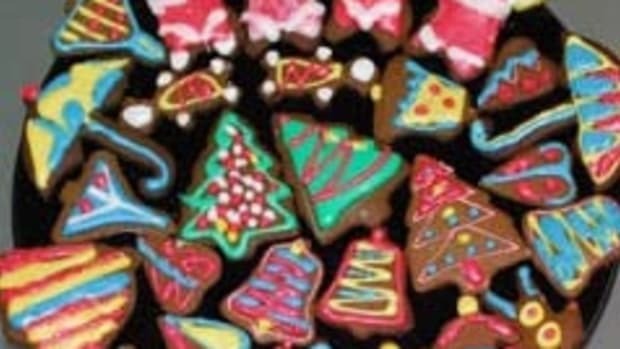 As an alternative to painting the cookies, you can add sprinkles once the frosting is just set, but not completely dry. 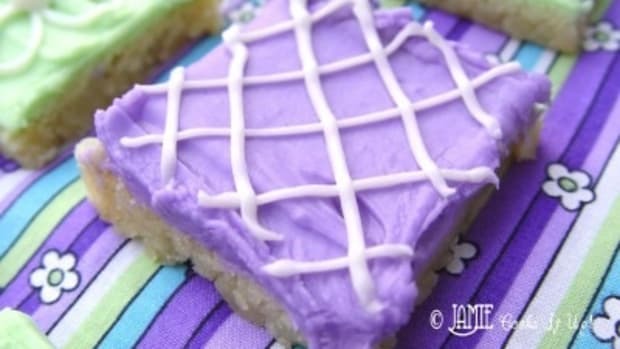 Here’s a fun, no-bake treat that adds a special twist to an old favorite! In a large saucepan melt butter over low heat. Add marshmallows and stir until completely melted (about 5 minutes). Remove from heat. Add the rice krispies and stir until well coated. Add the M&M’s and gently stir until mixed well. Using a spatula or your hands (buttered), press mixture evenly into a 13 x 9 x 2-inch pan lined with parchment paper. Bring parchment paper up on both ends to make it easier to remove from pan. Sprinkle a few M&M’s on top. Allow to cool. Take the pressed mixture out of the pan upside down and remove the parchment paper. 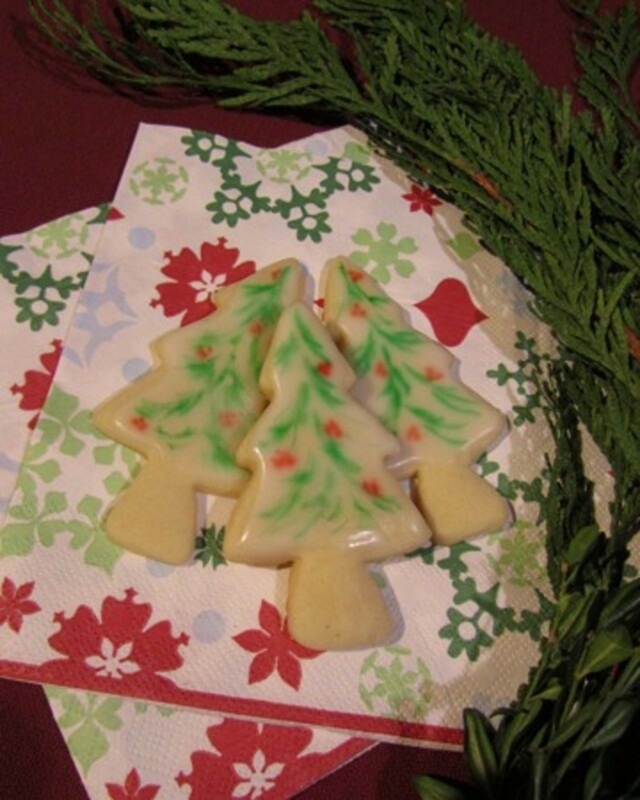 Cut tree-shaped pieces using a tree-shaped cookie cutter sprayed with cooking spray. Wrap individually, if desired. Try to serve them the same day, if possible. Alternative to M&M’s: Once you have the mixture pressed into your pan, you can let the kids add colored sprinkles.